If your senior parent isn't already residing in an assisted living community, you may consider helping him or her make the transition. After all, the winter months pose serious risks for older adults, and the professionals at an assisted living center can ensure that your loved one remains safe. The CDC noted that older adults may have a decreased ability to feel when the temperature drops, so they may expose themselves to dangerous cold without even realizing it. 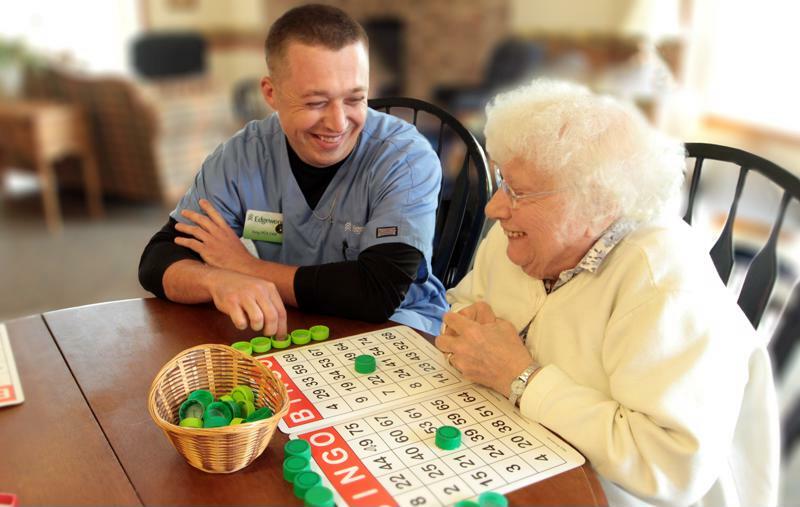 Assisted living staff will winter-proof the space long before any snowstorms arrive. You and your parent can rest assured that he or she won't have to deal with frozen pipes, cracked windows or a broken thermostat. Senior living staff will ensure your loved one is cared for during winter and all year long. If you plan on spending any time outdoors with your senior loved one, even if it's just getting from the car to the grocery store, make sure he or she is wearing warm clothes. The National Weather Service put together a chart that outlined how long it would take for someone to get frostbite depending on the temperature outside. Subject to wind speed, it may only take 30 minutes to develop frostbite when the temperature is 5 below zero. The graph demonstrates that as the temperature drops, so does the time it takes to be negatively impacted by the winter chill. The NWS also noted that the formula for the time frames relied on a measurement of standard skin tissue resistance to the cold. According to the Mayo Clinic, older adults are prone to fragile skin, as aging naturally thins the epidermis. As such, your parent may develop frostbite even sooner than outlined by the NWS. "It may only take 30 minutes to develop frostbite." Make sure your senior loved one is bundled up before you head out the door and that no skin is exposed. Beyond donning a hat, scarf, gloves and boots, double check that his or her coat is up to par. Speaking with CBS News, executive editor of Outside Magazine Michael Roberts noted that down jackets are both warm and lightweight. This will keep your senior loved one comfortable during the colder months without weighing him or her down. Be sure to look at the fill, as a higher number indicates a warmer coat. Shovel and salt your driveway and surrounding sidewalks. Perform balance exercises with your senior loved one to enhance his or her stability. Equip everyone with non-slip shoes. Make sure family members don't walk with their hands in their pockets, as this can hinder balance. Provide adequate lighting outside your home. Keep the distance from the front door to the car short – park in the garage if you can. Encourage loved ones to walk slowly. With a little adjustment, you can enjoy the cheer of the holiday season without the fear of weather-related health problems.